Sunshine and clouds mixed. High 84F. Winds SSW at 5 to 10 mph..
Clear to partly cloudy. Low near 60F. Winds light and variable. 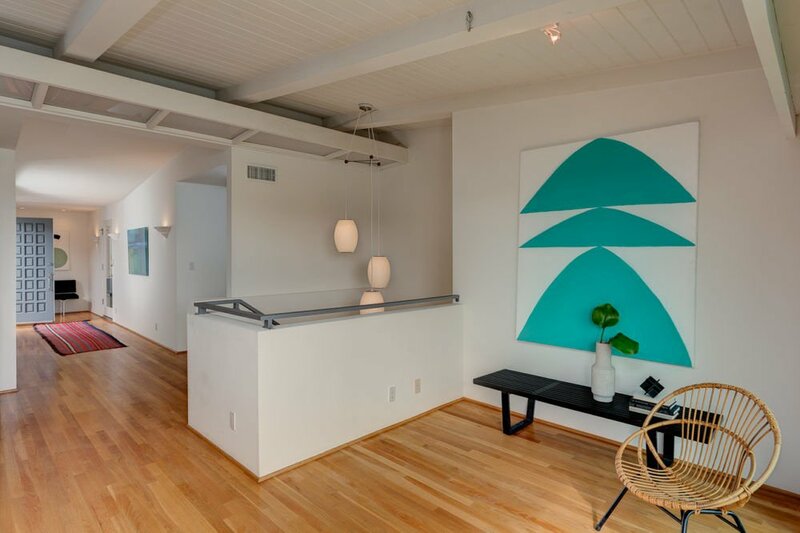 Light, bright and spacious Los Feliz mid-century modern circa 1955. All the hallmarks of this desired era are here in this stylish 2-story home: beamed ceiling, open floor plan, period brick fireplace, and walls of glass to take in the incredible city and mountain views. Set up from the street with a long private driveway, enter into a top floor with a large living room, dining area, kitchen, den and master suite with master bath and walk-in closet. Downstairs are three more bedrooms and a bathroom. Great access outdoors can be found from almost every room including a huge deck off the living room and a side yard off of the den. Tons of closet space and storage, laundry room, detached 2-car garage and lush mature landscaping. 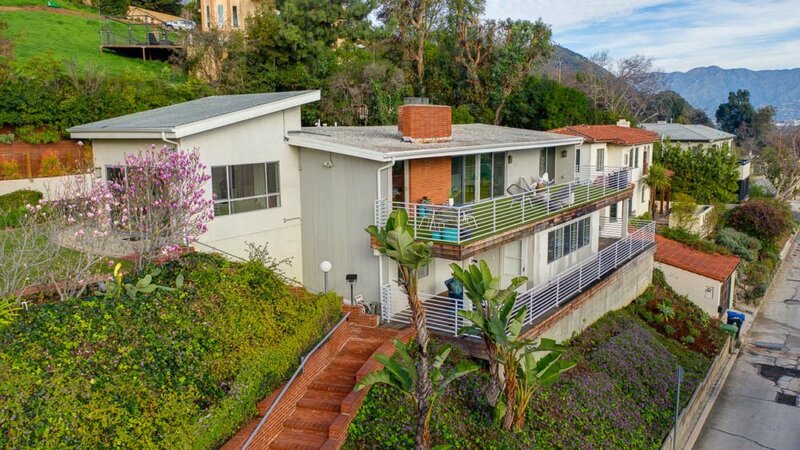 Incredible location just steps from Griffith Park and close to Los Feliz Village with many of the area’s best shops and restaurants just minutes away. Easy access to freeways and nearby neighborhoods such as Atwater Village and Silver Lake.